I applied for a job yesterday, and thinking that I won't be able to make it, I chose not to bring my bank book. 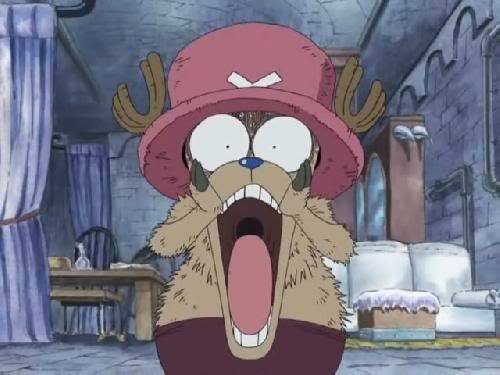 Not only you Chopper, I'm shocked too by this unexpected mess. Worse of all, I've no scanner at home! I was thinking, maybe I've to take the trouble and go down to that place again and give it to her. Troublesome you know? Luckily, photocopying shop became my savior. They provide scanning! It's a relief, because all I need was a thumb drive, a storage to store the file! But I realised my thumb drive was with Ah Gu, and my bro's thumb drive was with him but he went out! I still got my last resort, PSP! Then I soon realised (again) my bro took it with him too...gosh what's this man?! I paced up and down wondering is there anymore storage device that's at least usable?! Then a light-bulb lighted up on my head, thank goodness, I still got my camera right?